Since the introduction of TimeTec TA, clients have been asking for notifications on tardiness to alert the admins on these activities. We are proud to introduce this feature in the latest release of TimeTec TA and it can be set online and in mobile app! We offer two types of notifications, announcement and attendance, which come in default messages but customizable according to your company’s preferences. 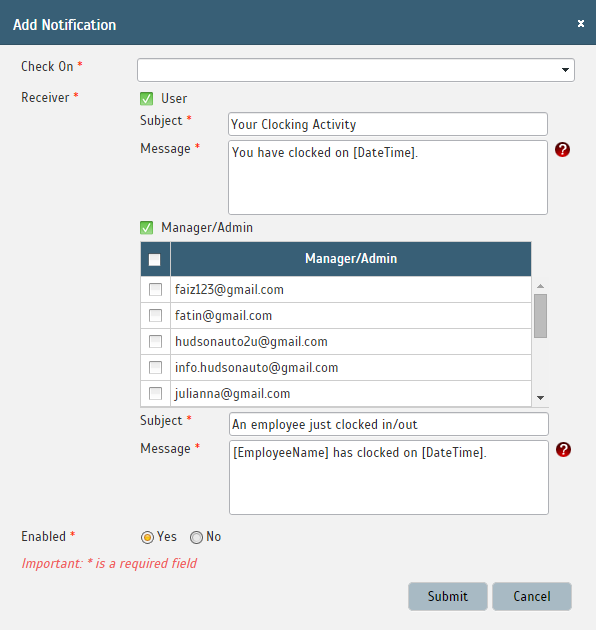 Announcement notifications can be configured to notify users about new employees that are joining your company, employee’s birthday, anniversary of services and etc. 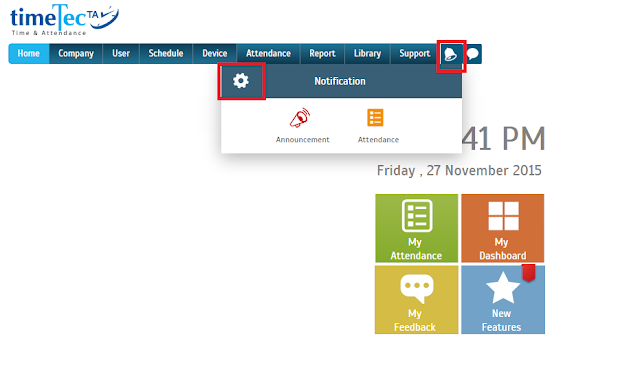 Attendance notifications can be configured to notify Admin and/or users about their tardiness activities. 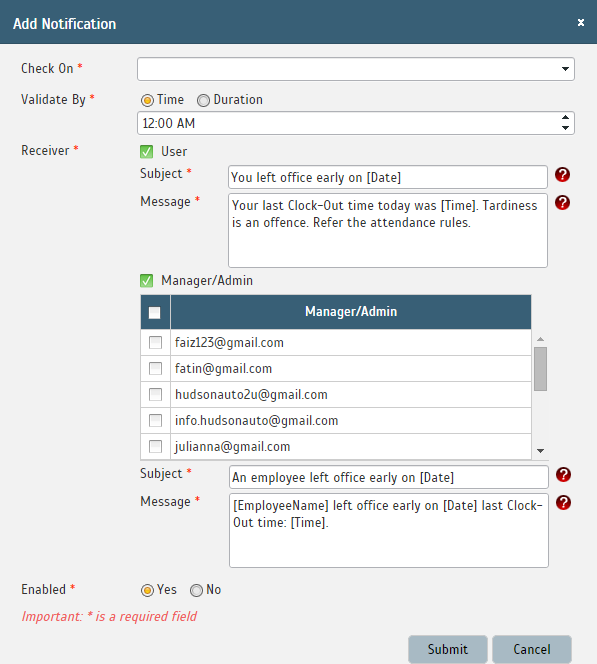 By having notification feature in TimeTec TA, the company can improve employer-employee relationship with new employee and birthday alerts, and both parties are informed of tardiness activities to seek room for improvements. Attendance, many more to come in our future releases. 3. In the Announcement window, there are two types of notifications, Greeting and Memo. 4. Notifications in Greeting include Welcome, Birthday, and Anniversary wishes. 5. Memo is a short message that contains important information from the employer for the employees for example change in company’s policy, announcement on certain rules, and etc. You can configure the memo as shown below. Administrators can set the date and time to send the memo to all TimeTec users. Click ‘Add’ to configure the memos. 6. For Attendance notification, you can set the Late In, Early Out and Clocking notifications. their attendances not on time.